From rain checks to the Kentucky Derby dress code, here are the most common questions we receive about race day at Churchill Downs. What if it rains on the race day? 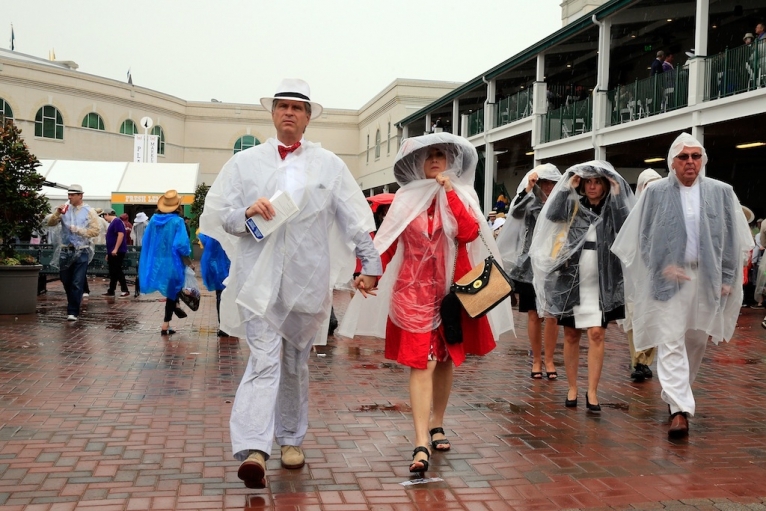 The Kentucky Derby and Kentucky Oaks are run rain or shine. The only thing that would delay the races is lightning. What time do the gates open at Churchill Downs on race days? Gates open at 8 a.m. The parking lot opens at 6 a.m. both Friday and Saturday. Shuttle service begins at 9 a.m. Friday and 7 a.m. Saturday. In some reserved areas of Churchill Downs there is a dress code. However it is important to note that, in the majority of the seating areas, you do not have to be dressed to the nines to be admitted into the races. 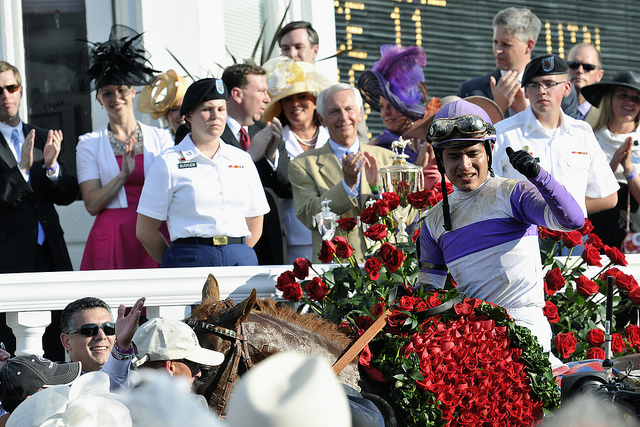 Here are some great guidelines for figuring out what to wear to the Kentucky Derby. Sunscreen if it’s sunny, a sweater if it’s chilly, and a poncho if it looks like rain. Snacks or a boxed lunch, for when food lines get long. If you keep it in a bag or a container, make sure it’s clear and smaller than 18 inches-by-18 inches. For the women, a cute clutch or handbag. Any bag larger than 12 inches in any dimension is not permitted. If you actually have a child with you, you can bring diaper bags or strollers, as long as you actually have a child with you. Got any insider tips to share? This ain’t our first Derby! Here are some of the best tips we’ve learned. If you are driving, just go ahead and pay to park rather than trying your luck in the surrounding area. At the end of the day, $50 to park will be worth it. Bring more cash than you think you’ll spend. For the ladies: if you wear high heels, make sure you bring sandals. The event is called, “Derby.” The only time it is called, “The Derby” is if you’re speaking about the race itself. While the horses may be in for a sprint, you’re there for a marathon. It’s an all-day event, so hydrate accordingly and pace yourself. Limit yourself to one mint julep. Make your bet on the Derby race as soon as you arrive. Don’t be scared to bet; it’s part of the experience and makes watching the race much more exciting! You can walk right up to the gate at Churchill Downs on Derby Day, pay $50, and you’re in. But complete experience packages are way more fun!